Erin Shaw Crowley is the marketing manager for Barracuda MSP. She joined the company in 2011, and she is responsible for the planning and execution of every event Barracuda MSP hosts and attends. Erin is a millennial on the move. 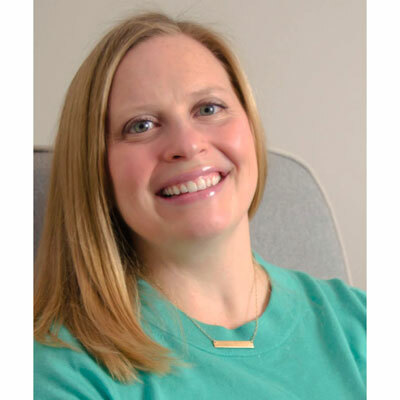 For the past several years, she has been front and center at more than 90 channel partner events including XChange events put on by The Channel Company, CompTIA ChannelCon, and Barracuda MSPs' own local lunches. With thousands of air miles already banked and many more planned, Erin is a friendly face at channel events and an advocate for the IT community. Erin holds a B.S. in Sports Communications from University of Evansville and earned an M.S. in Sports and Leisure Commerce from The University of Memphis. She lives in Chapel Hill, N.C. with her husband and daughter and enjoys athletics, cooking, and just about everything about being outdoors. Over the past year, I have worked with the Barracuda MSP marketing team to ensure that our corporate brand and messaging is at the forefront of our partners' and prospects' minds at the numerous events we both attend and host throughout North America. My ultimate objective, is to ensure that attendees know who we are and where they can find us. One of the most effective event-related marketing programs in the last year has been the Barracuda MSP Recharge Lounge, which we have hosted at many industry events including The Channel Company's XChange Solution Provider events. Here, we are able to invite our partners and prospects to conveniently charge their electronic devices, while at the same time facilitating more in-depth conversations and education around Barracuda MSP's security and data protection solutions, the upgrades and key integrations that are available with our offerings, and how we can make it easier for them to protect their customers' data and applications, while growing their businesses. My goal is to expand the number of educational events we offer to our partners and prospects. I want our partners and prospects to be able to walk away from these events with clear understanding of everything Barracuda MSP has to offer with our expanded line-up of security and data protection solutions. I want them to know how Barracuda MSP can save their business time and alleviate strain on their resources; detect and prevent new and emerging forms of ransomware, phishing, malware, and other cybersecurity threats; and, how Barracuda MSP can help them grow their businesses. In 2017, I was recognized as a CRN Women of the Channel. Lindsay Faria, Barracuda MSP's Director of Partner Marketing, is someone whom I admire greatly. Over the years, she has opened my eyes to new ideas. I'm incredibly impressed by what she has accomplished with our sales and partner marketing programs, since joining Barracuda MSP just over three years ago. Not only has she formed a strong bond with Barracuda MSP's sales and marketing teams, she has created new and unique ways in which to engage with our partners and expand those relationships through success stories and other initiatives. I love watching her push herself and her team to new heights. When I was 16, I was experiencing some difficult challenges with my family. In hindsight, the best advice I could have given myself was that everything is going to turn out okay. Life gives you curve balls for a reason as they help you find your true path and become the person you are going be. I would love to master web design. The web is an important part of how we market our events at Barracuda MSP. We have a dedicated web page that features upcoming events and other details, and I would love to have the knowledge and skillset to be able to personalize this page make it more interactive, such as adding live-streaming and other coverage of events, linking it back to our Twitter feed and social media accounts, and adding other features that actively engage partners and prospects. The Couple Next Door by Shari Lapena. I like mysteries and suspense, and with this book I thought I had it all figured out, and then there was twist after twist taking you deeper and deeper into the plot with an ending I could never have anticipated.